Xamarin.Forms now has preview support for the Windows Presentation Foundation (WPF). This article demonstrates how to add a WPF project to a Xamarin.Forms solution. Before you start, create a new Xamarin.Forms solution in Visual Studio 2019, or use an existing Xamarin.Forms solution, for example, BoxViewClock. You can only add WPF apps to a Xamarin.Forms solution in Windows. In the New Project window, at the left select Visual C# and Windows Classic Desktop. In the list of project types, choose WPF App (.NET Framework). 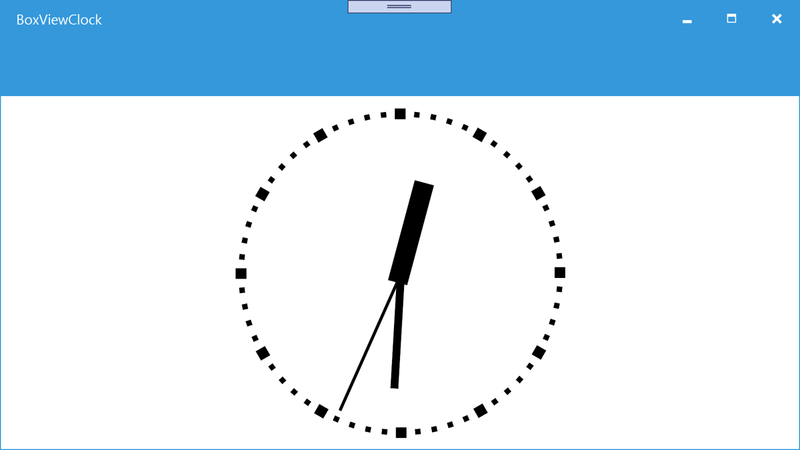 Type a name for the project with a WPF extension, for example, BoxViewClock.WPF. Click the Browse button, select the BoxViewClock folder, and press Select Folder. This will put the WPF project in the same directory as the other projects in the solution. Press OK to create the project. In the Solution Explorer, right click the new BoxViewClock.WPF project and select Manage NuGet Packages. Select the Browse tab, click the Include prerelease checkbox, and search for Xamarin.Forms. Select that package and click the Install button. Now search for Xamarin.Forms.Platform.WPF package and install that one as well. Make sure the package is from Microsoft! This is a Preview, so you should expect that not everything is production ready. Not all NuGet packages for Xamarin.Forms are ready for WPF, and some features might not be fully working.